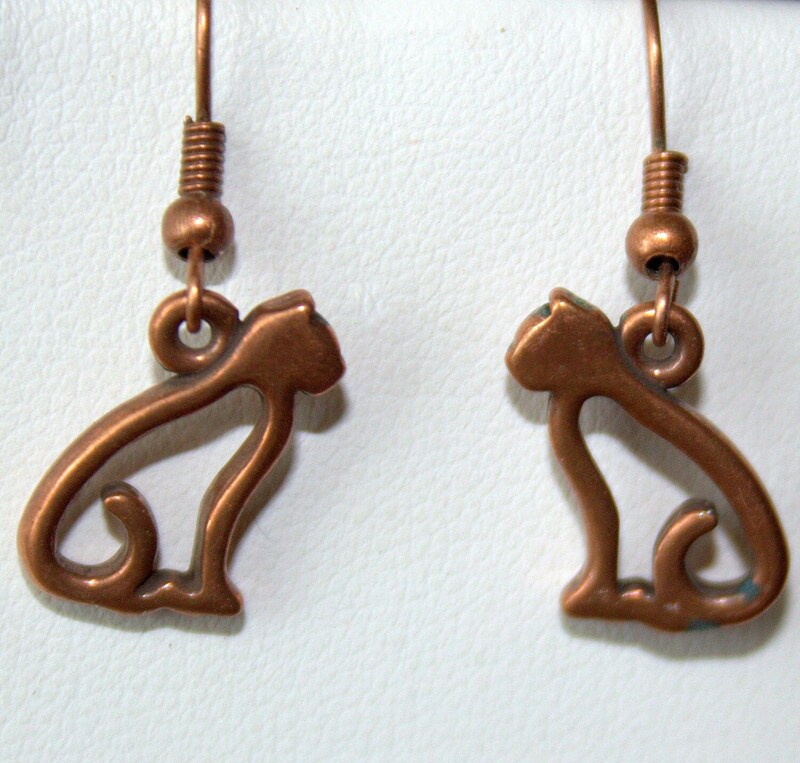 These kitties are made from copper cat charms that show a comfy cat with its tail curled around itself. They dangle from copper French ear wires that have a copper ball and coil for accent. The charms have small flecks of green which is common in a copper piece. They are @ 1" long and are very light weight. As with all my pieces, the workmanship is guaranteed for one year from the date of purchase.